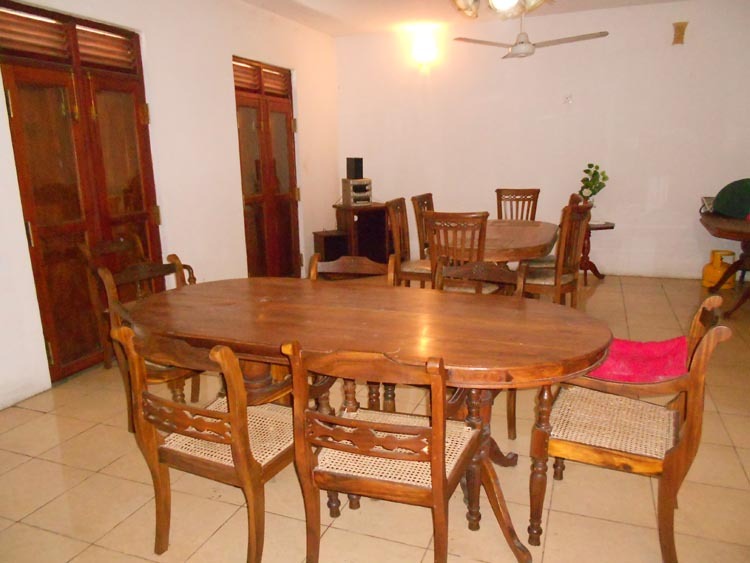 ﻿ Hotel/ Guest House for Sale, Lease or to Get a Joint Venture at Panadura. 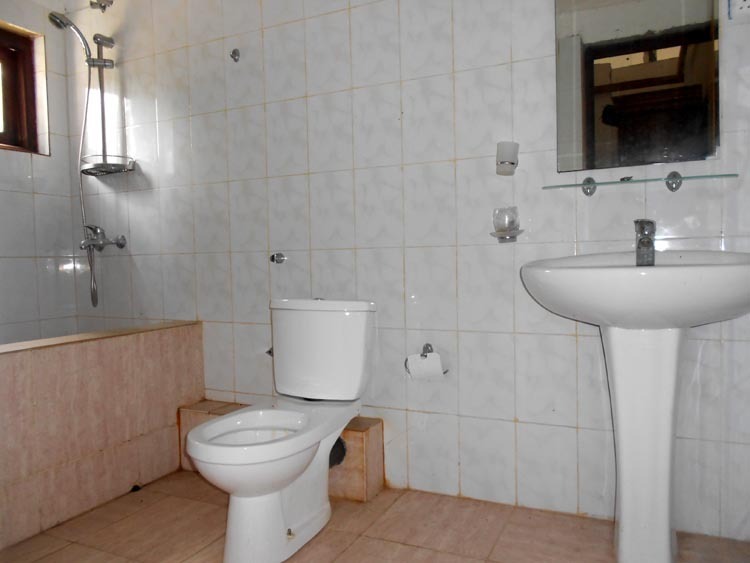 The ground floor has got three bed rooms with attached bath rooms, one big room for a 24 person restaurant, one office room and a sitting room. Outside there is a big tiled terrace. 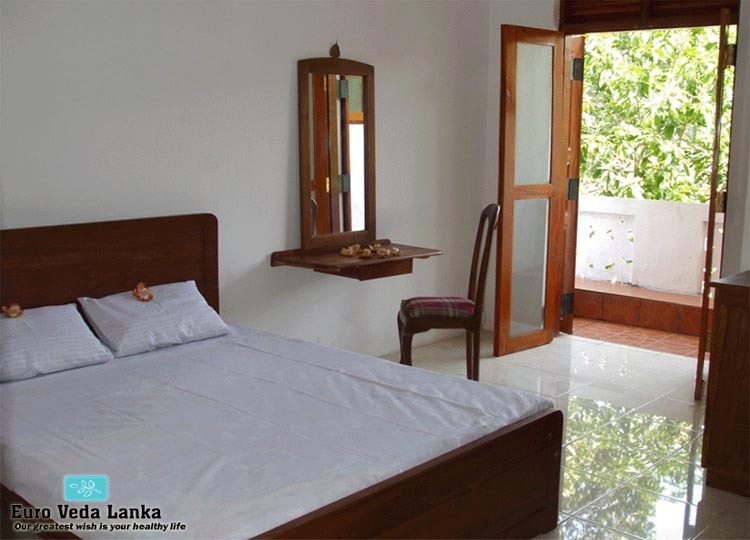 The first floor has got 5 double bed rooms with attached bath rooms and two therapy rooms, a sitting room, outside there is a very big balcony round the house. Every double room has got its own balcony as well. Every room has got double doors, one with glass doors, one with jack wooden doors. 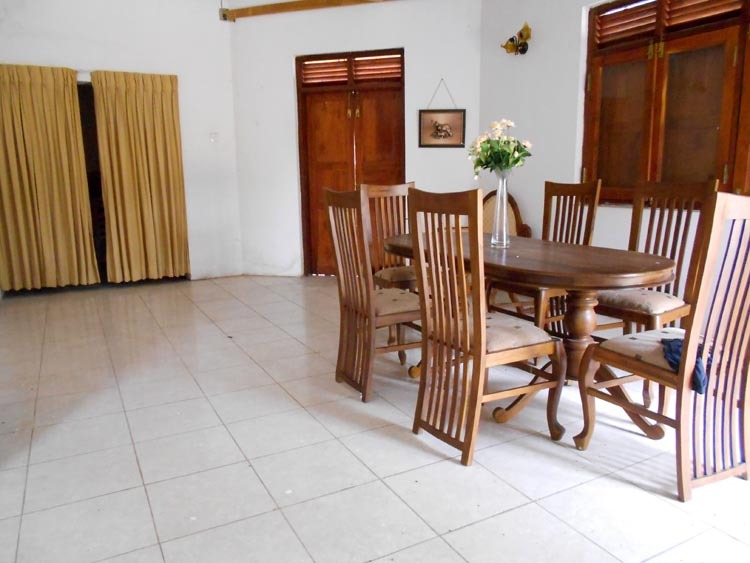 The second floor is a king size room, sitting room, dining room, small kitchen place and a very big roof terrace (more than 2000 square feet) with a temple. This roof terrace is ideal for meditation, relaxation and yoga. The garden is very big and has got two jack trees, one mahagony tree, two teak trees, six king coconut trees, four mango trees, two kohomba trees, one cadju tree and one naa tree. Behind the building there is a swimming pool with pool bar. Next to the pool there is the outside kitchen and store room. Around the land there is a nine feet high wall. The whole house is full furnished. 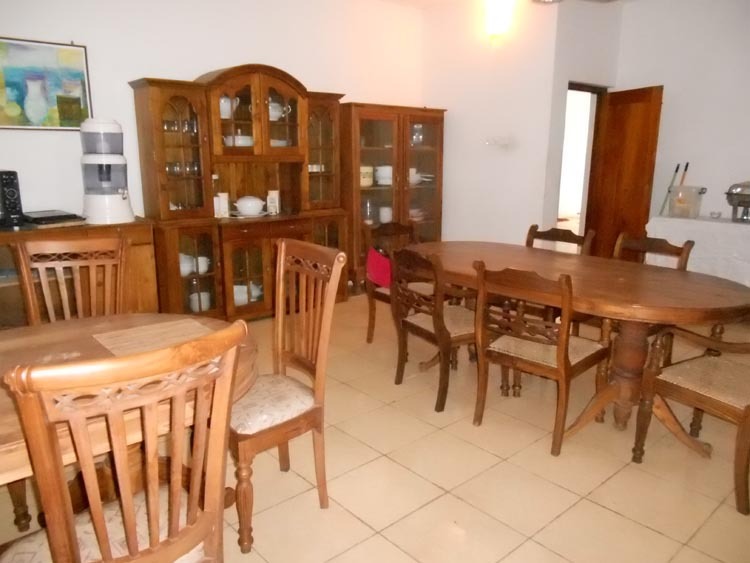 The location has very calm atmosphere and good secure place 4 km from Panadura city. 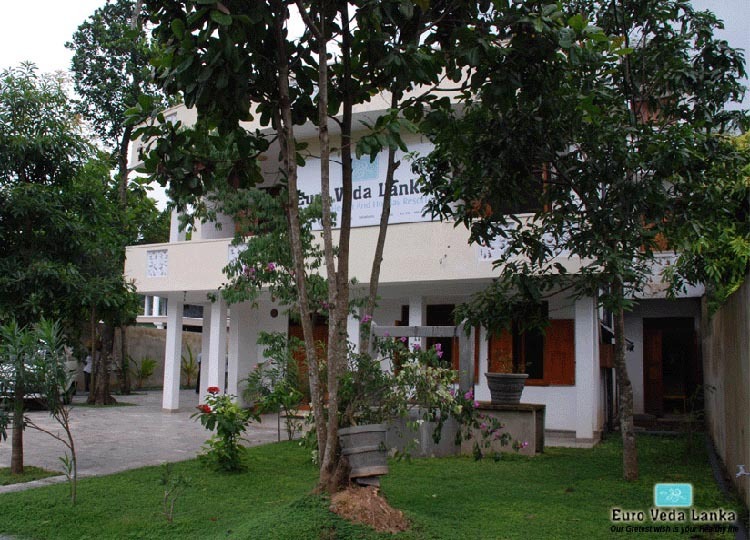 Previously the building used for Ayuruvedic Health Care and suitable continuation of sale same kind of business and also suitable as a foreigner’s guest home, private clinic, nursing home, education centre for services in Ayurveda and tourism. 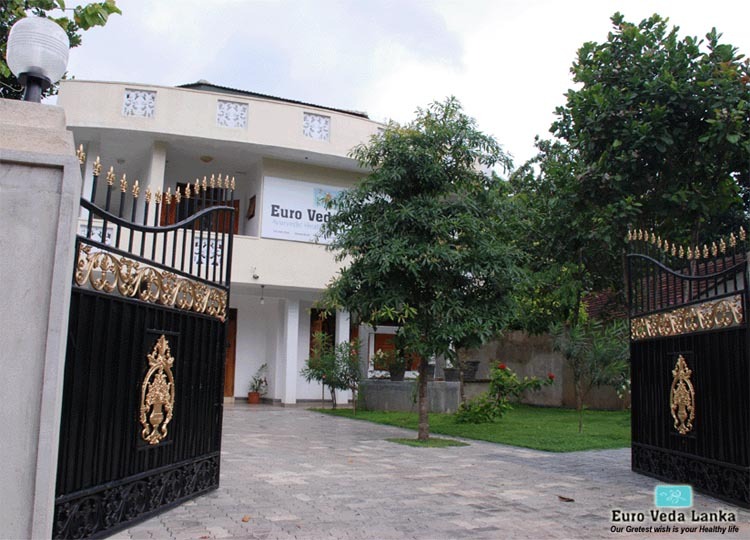 The owner of this property Dr. Vasantha M. Kuruneru is Sri Lankan currently living in Germany and doing practices in Germany nearly 25 years. He is willing to lease the building for at least three to five years or he is willing to work together with a person who is willing to lease it. 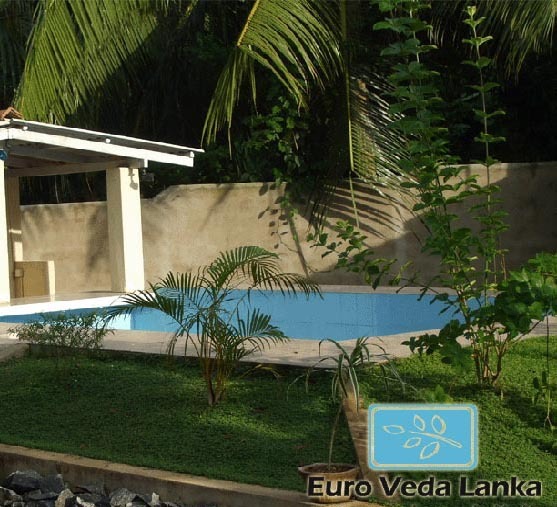 He can also promote tourism to Sri Lanka if his place is well organized by somebody or one of their firms. For these matters he has enough experience (over 25 years) in European countries.